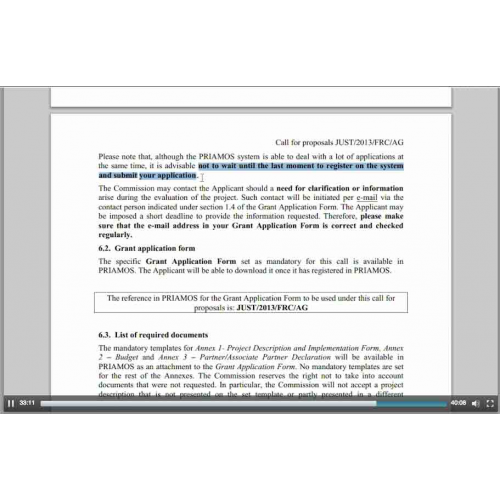 Objective : The aim of this class is to attentively read and truly understand (interpret) what the European Commission requires in a call for proposal (funding instrument). A secondary aim is to learn/improve knowledge on EU politics, procedures and instruments. Main target group: NGOs, including foundations and associations, trade unions and public sector (universities) as well as consulting companies working in development cooperation projects and willing to improve their knowledge on EC funding instruments may be interested in this class. Independent consultants already working in the field may require an update as well as international grant-makers may find useful tips when applying for a call themselves or when launching their own calls. Experience and knowledge in international development cooperation are not requested. 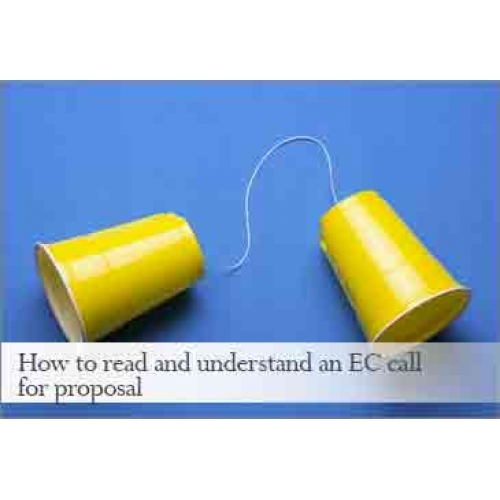 Structure: This class provides guidance through the understanding and interpretation of an EC call for proposal. 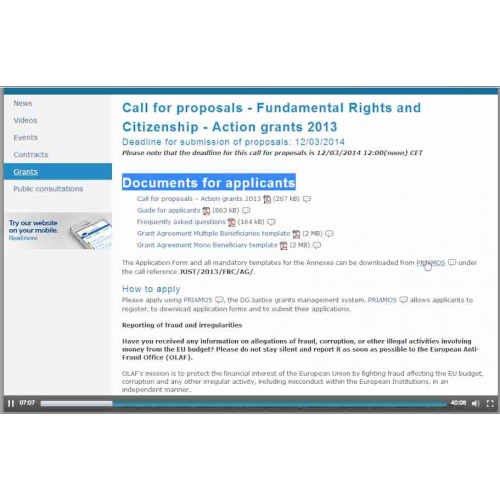 As an example, the speaker selects a call launched by DG Justice on its web portal related to the EU Fundamental Rights and Citizenship Programme. Every paragraph of the call is analyzed in detail offering important tips on what the EC is looking for specifically in the proposal presented under this call. But the information herewith presented can easily be adapted to other calls as it highlights common elements the EC is interested in in order to fund projects. Duration: This class lasts 37 minutes and 57 seconds. Material provided: Slides related to this class can be downloaded.